Cleaning your oven is one of those things that are not that easy to put off. You take just one look inside and it becomes overwhelming already. But, in this article, I am going to show you why cleaning your oven could be actually the easiest thing to clean! So keep reading and see my super easy way to clean the oven with no expensive store-bought cleaners, or insanely elbow grease. Natural ingredients only! Now, let’s reveal the insanely easy and efficient method. Ladies and gentlemen, simple household ammonia and time. That’s right, that’s all it takes. Oh, and so I won’t forget, you also need to be sleeping. I mean, it doesn’t get better than this. So, basically, simple household ammonia will help you by loosening and dissolving the mess. Thus, instead of scrubbing for hours, you’ll just wipe the nasty chunks of food in just a few minutes. in my opinion, this has been an amazing homemade cleaner that will make the job much easier! 1. First of all, preheat the oven to 150 degrees F.
2. Now, While it is heating, put your pot of water on your stovetop and bring it to a boil. When it has reached 150 F, simply turn it off and start pouring 1 cup of ammonia into a baking dish. Place the dish on the top rack and the pot of boiling water on the bottom rack. That’s it. Now just close the door. Thus, just give the ammonia and hot water a few hours to work their magic. Now, I find it best to just go sleeping and let it sit overnight. No stress, really. Thus, remove both the bowl of ammonia and the pot of water. Keep the ammonia for later, though. So, remove the oven racks as well, and leave the oven door open to air out for about 15 minutes. Now, this is the little effort you will do. In that dish with ammonia, add 1-2 teaspoons of dish soap and a quart of warm water. This will be the solution you will use to clean the oven. First, don’t forget to put on your cleaning gloves and use the sponge. Dip the sponge into the ammonia mixture and wipe away the softened grease and grime. There you go, a complete step-by-step key method! 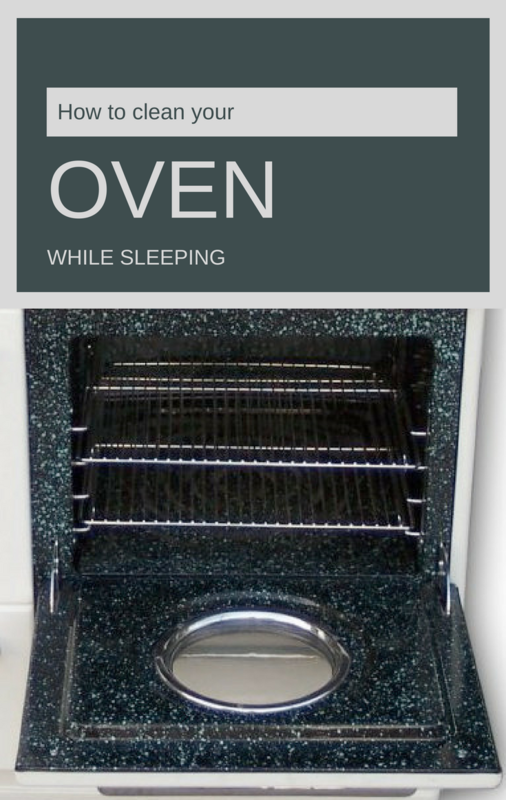 It will make your job easier and your oven cleaner with no fuss. Easy, just like that!